Since one of my favorite pastimes is vintage and thrift hunting, I’ve decided to start a regular feature here on the blog about the fun and interesting things I find whether I am scouring thrift stores, garage or tag sales, antique markets or estate auctions. 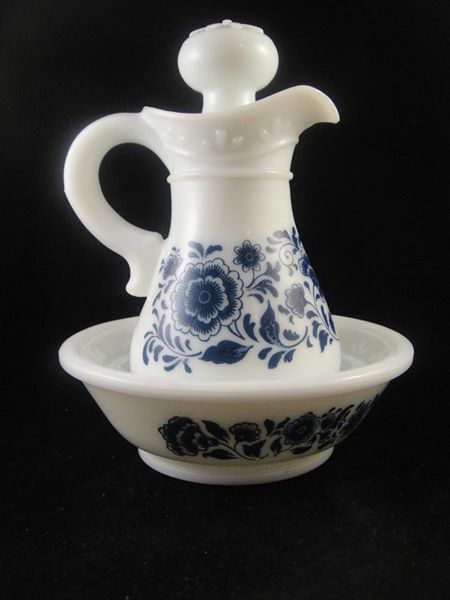 It was my day for finding Vintage Avon and I just could not resist this blue and white Delft Milk glass pitcher and bowl, it was a bit on the pricey side but I knew it would sell quickly. 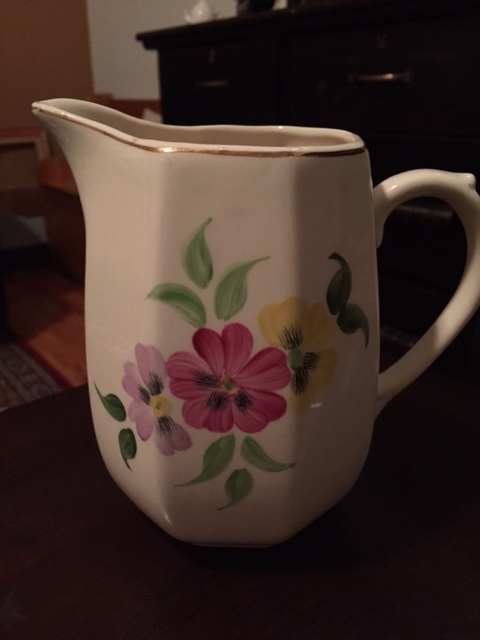 When I saw this 1940s Keele Street hand painted pottery jug, I envisioned some pretty Spring flowers just in time for Easter. It is available but only until I find the perfect flowers to put in it. It has many more uses than a flower vase but that was the first one that popped into my head so I’ll stick with that idea. 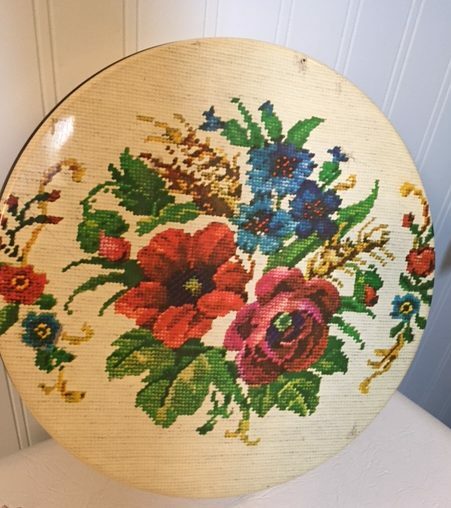 I also cannot resist Vintage metal tins – this one has a needlepoint design on it and reminds me of something my grandmother would have owned. It still has a faded price sticker on it from Woolworth’s. (NFS) I’ve already used it for holding a batch of chocolate chip cookies – its big enough to hold three dozen. 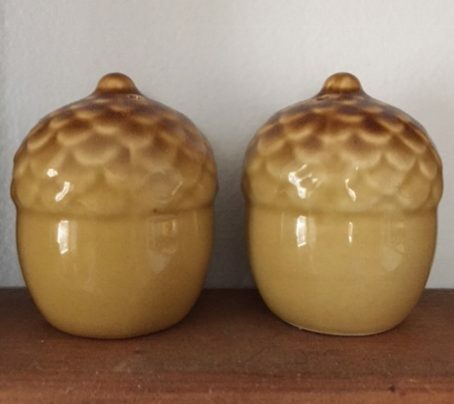 My last find for this week are these cute little acorn S&P shakers. 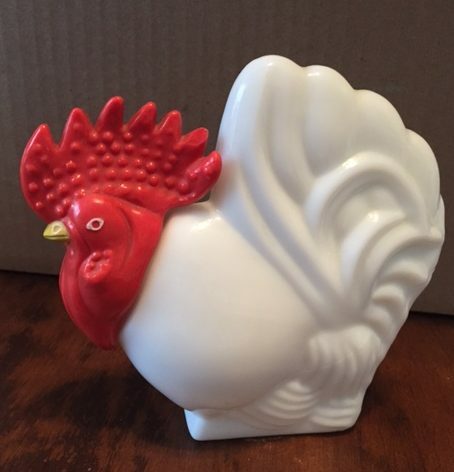 I have a friend that collects vintage S&P shakers and these are going to look great in that collection. 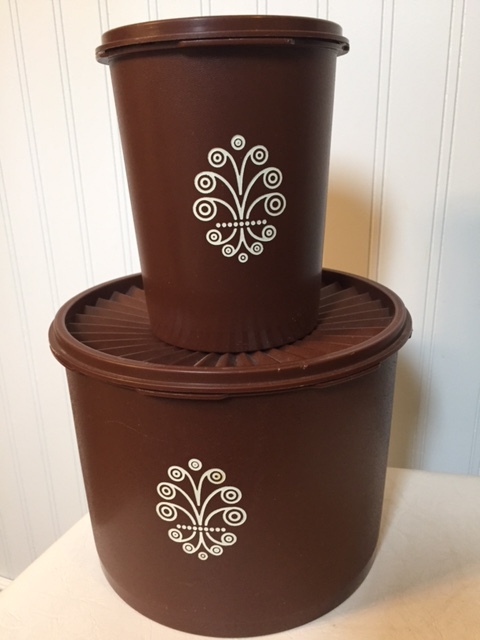 This entry was posted in vintage and tagged antique, Brown, Decorate, Keele Street Pottery, repurpose, reuse, Servalier, simple, thrift store, Tupperware, vintage, Vintage Avon, vintage salt and pepper shakers, vintage tin. Bookmark the permalink. I love your vintage finds! I love thrifting as well. I love the thrill you get when you find an awesome peice! 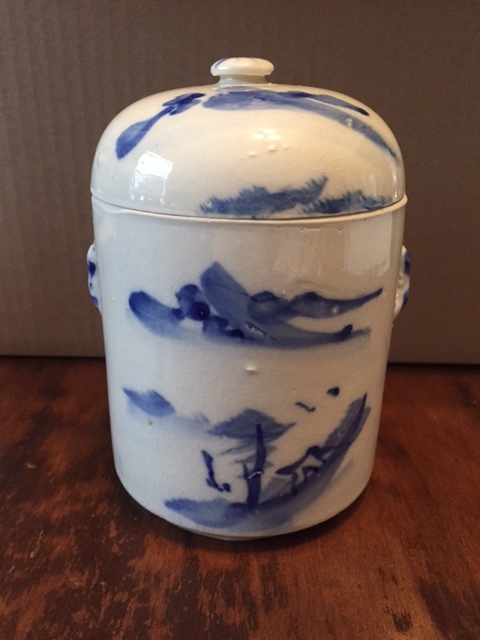 My mom used to have one of those Asian ceramic pots. She use to always serve me Chinese herbal soup in them. Your post brings back some old memories of my mom for me. Now I want to look for one of those pots too at my local thrift shop! I am so happy you stopped by the blog, thank you for your kind comments and I hope you find one of those little pots. Now I know what they are for – soup – thank you.